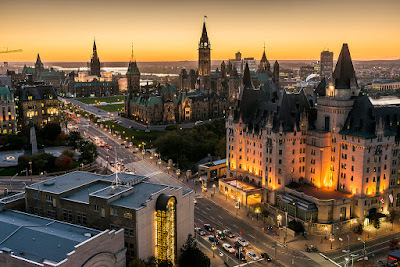 Home to astonishing landscapes and cosmopolitan cities, Canada is an alluring combination of the old and the new, so it’s little wonder that over 16 million tourists visit each year. But if you are planning on a trip to the great white north, you need to make sure you have the correct visa before you travel, as the rules are changing soon. Similar to the visa required for entering the United States known as “ESTA” (Electronic System for Travel Authorisation), failure to obtain the Canadian equivalent (eTA – Electronic Travel Authorisation) prior to travelling means you won’t be allowed in the country, although in Canada, that rule will only apply from September 30th, 2016 onwards. There are exemptions for those who have a valid Canadian visa or permanent residency card, and if you hold dual nationality (with a Canadian passport), there is no need to apply for an eTA as the scheme will not be applicable for your citizenship status. You should also ensure that you have enough funds to support the duration of your stay, and you will need to prove this (in most circumstances) with a customs and immigration officer at the Canadian border. You will need an eTA if you are travelling by air to Canada, but you will not require one if travelling by land or sea. Regardless of how you enter Canada, you must carry an acceptable travel document and identification (typically a valid passport). And if you decide to travel on to the USA after your trip to Canada, you will also need to abide by the new entry requirements for the USA, which came into effect this year. As of April 1st, 2016, all applicants for an ESTA must have an e-passport. If your passport was issued after October 26th, 2006, you’re passport should already contain an electronic chip (qualifying as an e-passport). However, if your passport was issued before this date, you will need to contact the Passport Office to update your passport. Everyone flying to the USA (either by air or sea) will need an ESTA. This also applies if you are temporarily passing through to catch a connecting flight to an alternative destination. You can only apply for an eTA online at the official Citizenship & Immigration Canada website. Once you have applied, keep a note of the reference number, or print out the page confirming authorisation. Always use the official eTA site for your application, as many websites will charge additional fees for applying on your behalf. It will cost $7 (Canadian) per eTA. All applicants should apply for their eTA before they book their flights to Canada. Most applicants are approved within minutes, but some applications can take several days to process. To apply online, all you need is a valid passport or acceptable travel document, a credit card (for payment), and a valid email address where confirmation of your application can be delivered. For more information regarding the new Electronic Travel Authorisation and entry requirements/conditions for Canada, please contact us at support@CFMO.org.